The Elizabeth Extendable Dining Room Table is a dinner party dream. Take it from intimate dinners to social gatherings in an instant. With an easy to use extendable function. 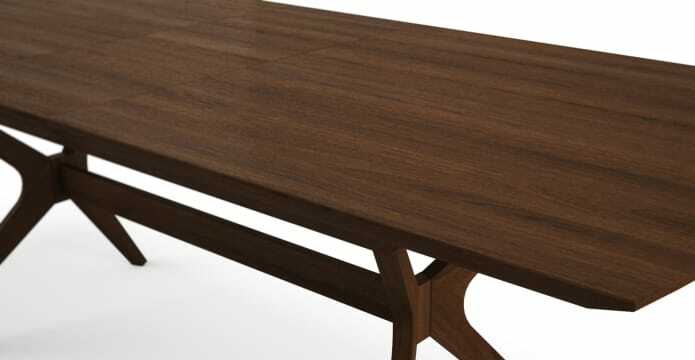 See more from our extensive dining table range. The Elizabeth has been carefully crafted from European Beech. A gorgeous walnut veneer finish adds a refined look. And protects it from daily wear and tear. Elizabeth is all about attention to detail. 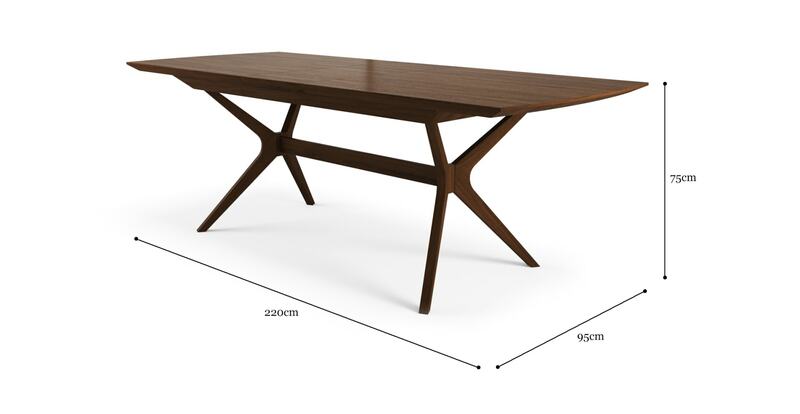 This beautiful table has an undeniable hand-crafted appeal, from the smooth surface down to the expertly finished legs. Looking for somewhere to sit down? Check out our collection of bestselling dining chairs, available in a variety of versatile colours and premium fabrics. How thick is the surface? Has the surface been treated to resist spills and stains? Are the edges round or sharp? Really happy with the experience/table. Efficient, good communication, reliable courteous delivery.